A groundbreaking ceremony on July 14, 2016 was the beginning of the Maxwell Regional Agricultural and Convention Center coming to fruition and 595 days later on March 1, 2018, the venue known as The Maxwell Center was built and opened to the public with an exciting four day Grand Opening. Over 50,000 guests attended over 200 events during the first open year of The Maxwell Center. The bookings for the facility, especially a brand new facility, have been higher than expected. The events hosted included a little of everything, large, small, quiet, noisy, serious, and fun. 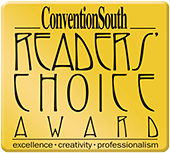 The Maxwell Center, in their first year, was awarded a ConventionSouth Magazine Readers Choice Award! There were over 2,000 venues, facilities, and CVB’s (convention visitors bureaus) nominated and only 320 winners nationwide, and only 20 winners in the state of North Carolina. The overwhelming positive response to The Maxwell Center and the busy schedule it has maintained confirms the need in Wayne County for a venue this size. We are happy to be a part of this great community and look forward to hosting an event for you at Our Place, Our Home – Bring Your Event Home!